The 4D team of trained practitioners have created a range of immersive and creative workshop sessions for all stakeholders that are designed to meet your outcomes and targets. Our experiences are across primary, secondary and SEN schools as well as in health care settings empowering you through creativity and new approaches. 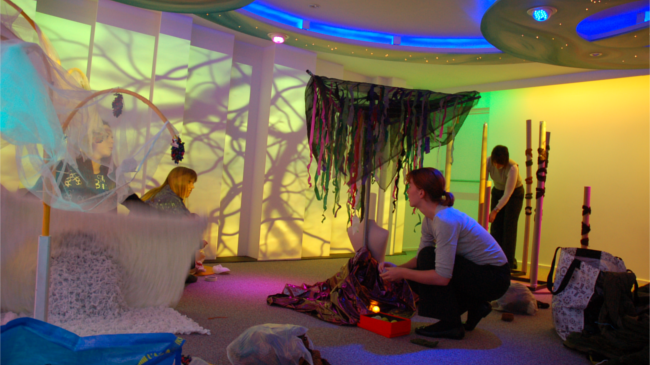 4D’s practitioners create new environments that blend person centred approaches, technology & creativity. 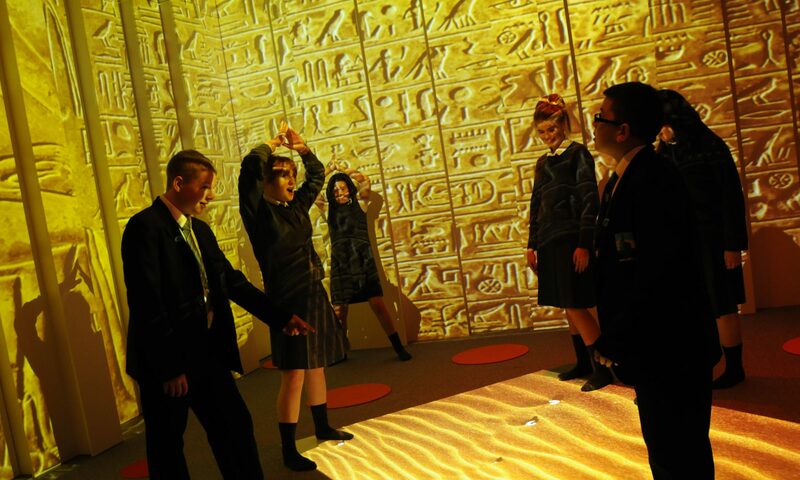 Our practitioners will create a supportive, engaging environment through a combination of high & low tech approaches including projection, sound, lighting and den making. A chance to learn collaboratively and creatively in a supportive, safe & positive environment that will impact pupils, practitioners & the wider community. We have a range of workshops and training programmes that are designed to meet your outcomes. These could be empowering your practitioners, inspiring pupils or embedding creativity across your whole school. Creative, supportive environments where young people can be heard, express themselves and collaborate. Experiential and engaging curriculum focused learning matched to outcomes and objectives. Encourage pupils to explore, plan and question for themselves, owning their learning in a safe space. Explore a person centred approach to teaching and learning that is focused on outcomes and creativity. Develop tools and confidence to create new environments that open fresh opportunities and value each individual. Learn to understand each individual child and how you can apply creative, pupil led approaches across all abilities and learning styles. Develop parental support around learning journeys by engaging in a new, inspirational space. Create a new experience of education and learning that develops responsible young people, ready for adulthood. Encourage partnerships with the wider school community, built upon a shared understanding and openness. Sharon Taylor, Teacher, Brookvale Primary School. Chris Smith, Teacher, Saint Wilfrid’s Catholic Primary School. Karen McBride, Headteacher, Croxteth Primary School, Liverpool. For more information contact Lauren, our Training & Research Co-ordinator: lauren@4dimmersive.com or call 01706 248112 to arrange.